Study of a hack used by malware to hide code inside a well know process. 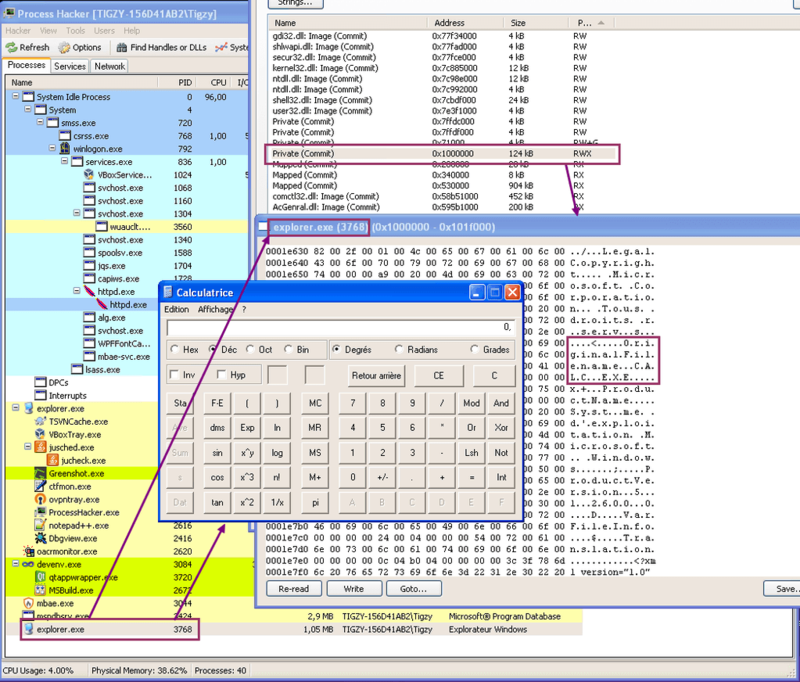 Hiding a process has always being challenging for malware writers, and they found many ways to do so. The tip I’ll talk about is very basic, yet simple to write, but doesn’t work all the time. This trick is known under the name “RunPE” and has been used many time in malware industry, especially in RATs (Remote Administration Tools). Basically, when a malware starts, it will pick a victim among the Windows processes (like explorer.exe) and start a new instance of it, in a suspended state. In that state it’s safe to modify and the malware will totally clear it from its code, extend the memory if needed, and copy its own code inside. Then, the malware will do some magic to adjust the address of entry point as well as the base address and will resume the process. After being resumed, the process shows being started from a file (explorer.exe) that has nothing to do anymore with what it actually does. The source code is self explaining, however I chose to let it strongly tied to our underlying library (Pe, Process, …) so that the code will not work out of the box (to avoid script kiddies using it for bad things). An advised engineer will be however able to understand the logic and recreate the binary. 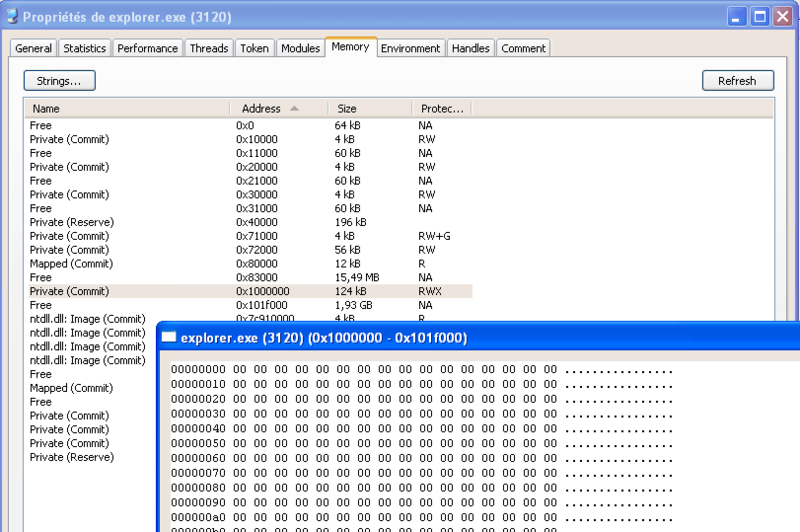 The main program will call RunPe function with explorer.exe as a target, and calc.exe as a source. This will result in running calc.exe code into an explorer.exe “skin”. 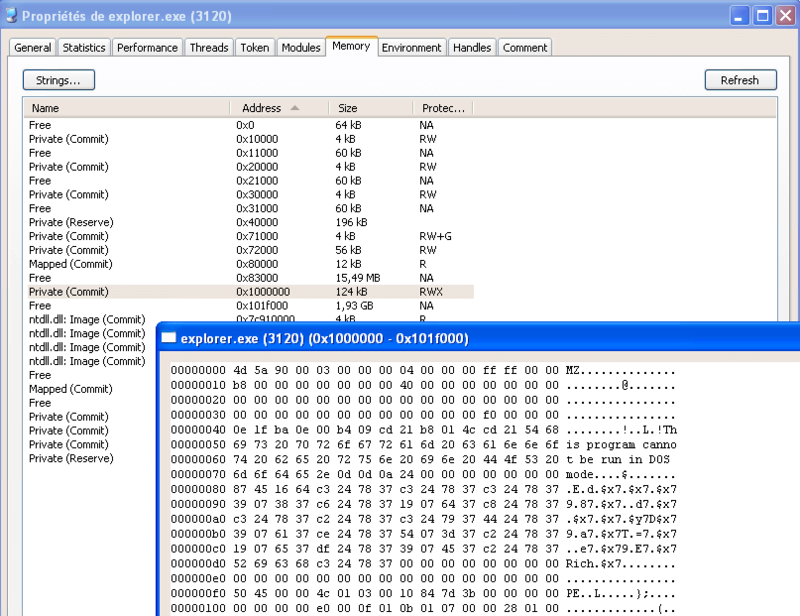 The RunPe function will simply create explorer.exe in a suspended state, remove the sections belonging to that module with NtUnmapViewOfSection. Then it will allocate more memory at the same preferred address as the former unmapped sections to host the target (calc.exe) code. That code (header + sections) is copied into the newly allocated section, and we adjust the image base + entry point address to match the new offset (explorer.exe base may be different). To finish, the main thread is resumed. As this trick is simple, it’s also simple to detect. We can assume safely (except for .NET assemblies) that a PE Header will be 99% the same in memory and in the disk image of a process. 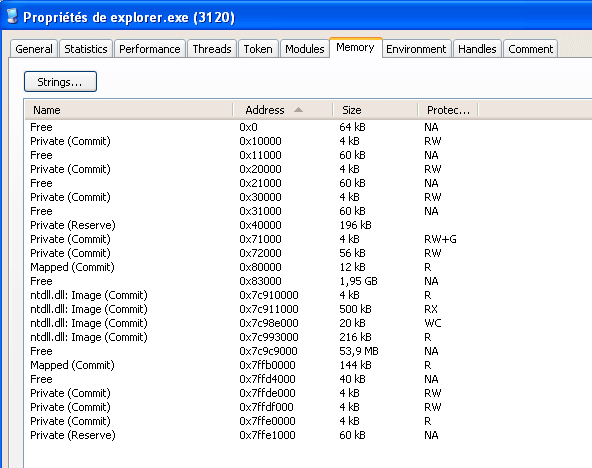 Knowing that, we can then compare in each process the PE header of the file on disk with the image in memory. If there’s too much differences, we can safely assume the process is hijacked. RogueKiller in version 10.8.3 is able to detect RunPE injection. PreviousPrevious post:Catch malware with your own HoneypotNextNext post:Malware, Virus, what are they?